Social media plays an important part of any digital marketing strategy. Considering that nearly half of Americans ages 18-54 follow at least one company on social media—and that over 50% of American adults are more likely to purchase something from one of those brands—having a solid social presence is vital for getting clicks, views, and high conversion rates. Simply being active on social media, however, isn’t always enough. Social media customer service is one notable growing trend. It is the practice of providing consumer support through social media channels to quickly answer questions from customers. Today, 28% of Americans would rather engage with a company’s reps via social media than go to a physical location for help, and 59% believe that social media customer service has made it easier to get their most pressing questions and concerns resolved. Good social media customer service doesn’t just help you connect with consumers. It also leads to more revenue. In terms of profitability and relationship growth, companies that fully engage with customers on social media see an average 23% boost in growth. Actively disengaging with customers has been shown to result in a 13% decrease. Because businesses make their social media profiles public, these channels make it easy to attract and introduce potential new consumers to your products or services. If other users see you interacting positively with people they follow, it gives you one more way to increase your conversion rates. Word of mouth marketing is a powerful tool, especially since 71% of customers who have a positive social media customer service experience are more likely to refer that company to others. Consumers who are familiar and aligned with a brand, on average, contribute to 47% of wallet share compared to those that don’t feel a personal connection with a brand. 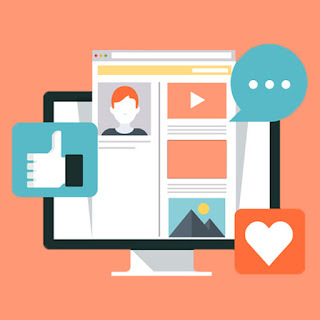 Social media makes it easier than ever to showcase your brand ideals to customers and form a personal connection with followers. Actively engaging in good social customer service lets people know that you’re able to back up your promises. Consider creating a hashtag to encourage more interactions (This isn’t always necessary, but it can be a fun way to get customers involved. Wendy’s is well known as a top contender in the fast food social media world. It has earned up 2.9 million followers. They are friendly, funny, and great at connecting with customers and other brands. The account jumps from professional replies to customer concerns to responses that could’ve come from your best friend. Speaking of interactive hashtags, Wendy’s often connects with customers via #DogsLoveWendy. In this post, a customer was upset that chocolate got mixed in with the vanilla Frosty that she shared with her dog. Wendy responded perfectly by both replying to the customer’s concern with an apology and offering to send her and her dog some goodies. This interaction helps ensure that—even after their Twitter conversation is over—the customer will remember Wendy’s willingness to listen and help. While Wendy’s social media strategy isn’t for everyone, it’s a great example of how to get customers (and the competition) to pay attention to you for the right reasons. Need help with your social media strategy? Talk to us.